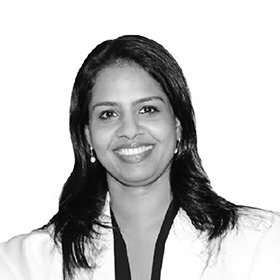 Dr. Anu Jayan Completed MBBS from Mahe University & MS Ophthalmology from Rajiv Gandhi University of Health Sciences. She has been practicing as Specialist Ophthalmologist since 14 yrs. Dr. Anu Jayan is well-versed in surgical procedures like cataract surgery, glaucoma, surgery, squint surgery, etc. Various procedures done in our OPD are Refraction and vision evaluation, squint evaluation, Glaucoma evaluation, Screening for diabetic retinopathy, Chalazion excision, Conjunctival suturing, as well as Corneal foreign body removal.